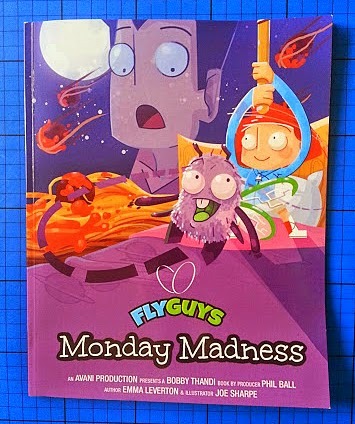 The Fly Guys is a brand new series of books, and Monday Madness is the first to be produced. Written by Emma Leverton and illustrated by Joe Sharpe, the Fly Guys are based on an idea by Bobby Thandi - or rather Bobby Thandi's daughter. The book is designed to make children think about pre-judgement, and lead to discussion about difference and diversity. 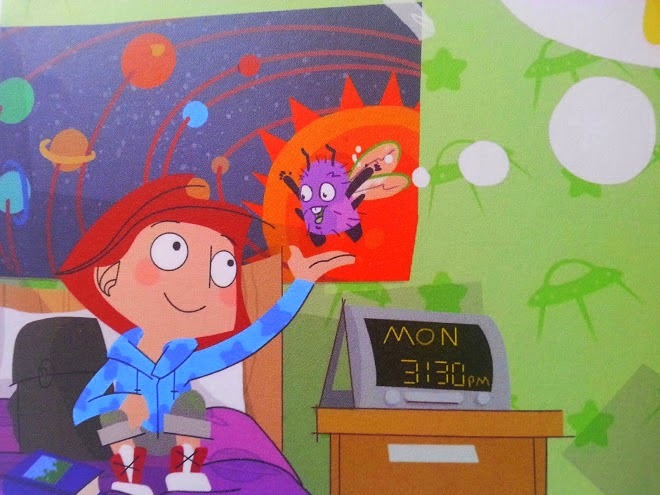 The Fly Guys Monday Madness features Alice, a 5 year old girl, and Fuzz, her friend the fly. Fuzz lives under the floorboards in Alice's bedroom. It's an unlikely pairing that really only could have been dreamed up by a child - but that's the sort of thing that makes it attractive to other children, and it makes it different. Alice's Dad tries to swat Fuzz when he spots him, without waiting to find out anything about him, and although initially I thought it was a strange allegory for discrimination, it works. It actually does make you think about why Alice's Dad would try and swat a fly when it's done him no harm, why he wouldn't stop and consider that the fly is just another living being. The illustrations are quirky and different, with lots of detail to spot and talk about. My favourite example is that with no explanation whatsoever Mum is busy cutting someone's hair in the living room. I like that, I like it when other things are going on around the central characters. The text is in rhyme, and it has good pace to build up excitement in the story. When my 6 1/2 year old read the book he was able to practice all of his best intonation and expression while reading, and the book felt exciting. 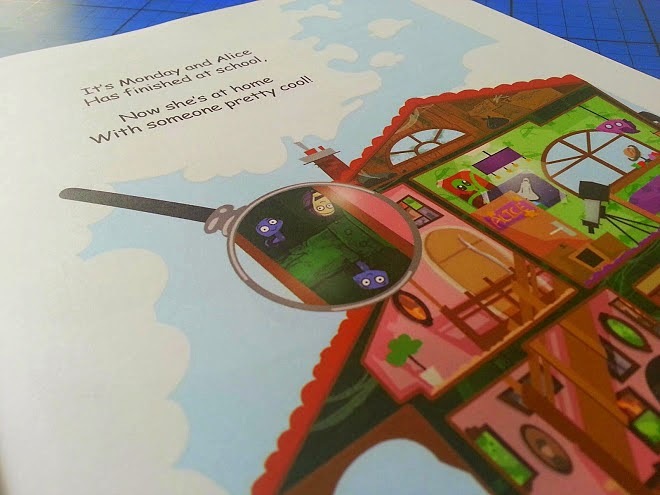 Fly Guys Monday Madness is published by Avani and has 26 full colour A4 pages. It is available from Amazon in paperback for £5.99. Future books in the series will have storylines decided by the readers of previous books, and an address to send your ideas in shown in the back of the first book. We were sent our copy of Fly Guys to review. This is very interesting book. The illustration look so cute!